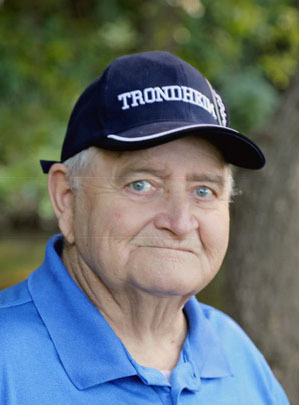 Obituary for Duane R. Severson | J. H. Lynner Co.
Duane “Sevie” R Severson, of Clarkfield, passed away on Thursday, December 6, 2018 at Sylvan Court Nursing Home in Canby, MN at the age of 74. Funeral services will be held on Friday, December 14, 2018 at 10:30am at Yellow Medicine Lutheran Church in Hanley Falls, MN. Reverend Jarrol Cole will officiate and interment will be at the West Yellow Medicine Lutheran Cemetery. Duane Roger Severson was born October 11, 1944 at Clarkfield, MN, the son of John and Clara (Berg) Severson. He was baptized on November 12, 1944 and confirmed in the Lutheran faith on Palm Sunday, March 22, 1959. Duane graduated from Clarkfield High School in 1962. Duane served in the US Air Force and in Vietnam from 1965 until 1968. He was united in marriage to Yvonne Velde September 7, 1968 at Hanley Falls. They made their home in rural Canby, Montevideo, and Hanley Falls before moving to Swede Prairie Township, rural Clarkfield in 1986. Duane was a farmer, but also worked as a machinist at Victor Fluid Power in Granite Falls and was Maintenance Manager at the Clarkfield Care Center. He enjoyed the MN Vikings, MN Twins games, word search, classic country music, especially Merle Haggard, riding his Harley Davidson motorcycle, classic cars, watching Wheel of Fortune, and Western TV shows. Duane persevered through a colon cancer diagnosis for 5+ years and subsequent kidney dialysis three times a week, following surgical complications. Grateful for sharing his life are his wife of 50 years, Vonnie; two daughters: Deanna (Darrin Loecker) Stahl of Sioux Falls, SD and Kari (Michael) VanDenHemel of Sioux Falls, SD; five grandchildren: Kirsten, Megan, Sydney, and Christopher “CJ” VanDenHemel and Morgan Stahl; two sisters: Diane (Dennis) Motsinger of Portland, OR and Karen (Frank) Denny of Brainerd, MN; a brother, Steven (InSuk) Severson of Tacoma, WA; aunt-in-law, Ellayne Velde-Conyers of Edina, MN; and numerous nieces, nephews, cousins, and friends. Duane’s family is so very grateful for tender, loving care at Sanford Canby dialysis unit, hospital, clinic, and Sylvan Court. Dr. Marzita Lopez and staff of Sanford Canby clinic and Dr. Mark Huber and staff of Avera Prairie Center in Sioux Falls provided caring and professional medical services. The medical team for Duane will always held in the highest regard by his family.